Nothing beats a pair of Black Diamond leather fire boots. Whats more, nothing beats the X2. Our flagship leather fireboot. We use genuine fire-retardant leather and CROSSTECH® fabric that provides the ultimate in comfort, fit and protection. 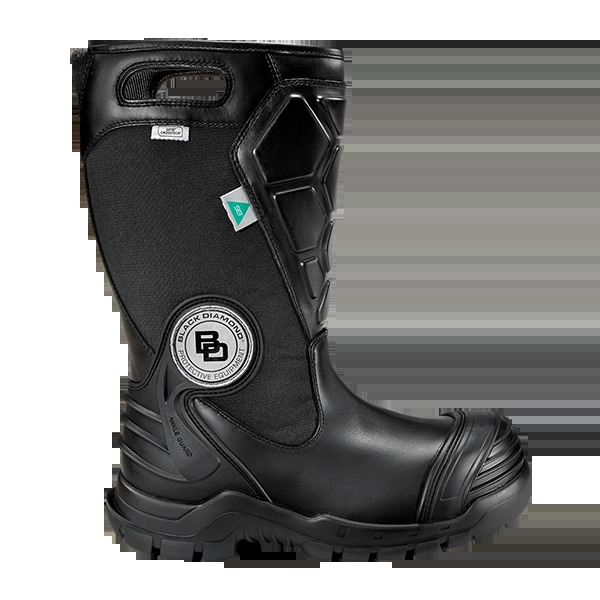 High-impact leather, steel toe, performance mid-sole, you wont find a better boot.